I am in my 20s and have hair loss, should I wait to get a hair transplant? Hair Transplant Questions Should I wait to get a hair transplant? I’m in my 20s and I’ve been experiencing hair loss for several years now. I’m on the fence about whether or not to get a transplant now or wait. My main reason for this is whether or not waiting a few years, maybe even ten, would bring about newer techniques that could offer significantly better results or improvements in the surgery, recovery, etc. What are the chances of this occurring? This is one of the most confusing dilemmas facing younger hair loss patients. Do I wait by the sidelines hoping that a miracle cure or advancements in hair transplantation will someday be available or do I research and investigate the best treatment available today? The answer to this question is dependent on the individual’s pattern of hair loss, since the younger the age hair loss begins, typically the more extensive the hair loss. With a good detailed family history for hair loss and a physical exam, a hair transplant surgeon should be able to estimate how much future hair loss the patient will develop. If the future pattern of hair loss cannot be determined in the younger patient, the individual should wait until the pattern is clear. Most physicians believe that the frontal region of the scalp is the most important area in trying to maintain the appearance of youthfulness. Deep hairline recession or visible scalp over the front of the head is the first sign of aging. For this reason, I feel that transplanting the frontal region in the young patient is advisable and recommended since this will reverse the appearance of aging. The next question is what if the young person only has hair loss over the back of the scalp called the crown or vertex? I personally dissuade young patients from transplanting the crown until the frontal region and midscalp have been transplanted. Why? Unfortunately, we have a finite number of available grafts and hair that we can harvest from the donor region over the back and sides of the scalp. Any grafts placed over the crown, results in less grafts available over the front half of the scalp. If we transplant the crown in a patient who is in their early 20s, there is a good possibility that when that person develops hair loss over the frontal or midscalp regions, there would be insufficient donor tissue available to achieve a good cosmetic result. Do you wait and suffer the psychological effects of hair loss, or do you seek both medical and surgical treatment? 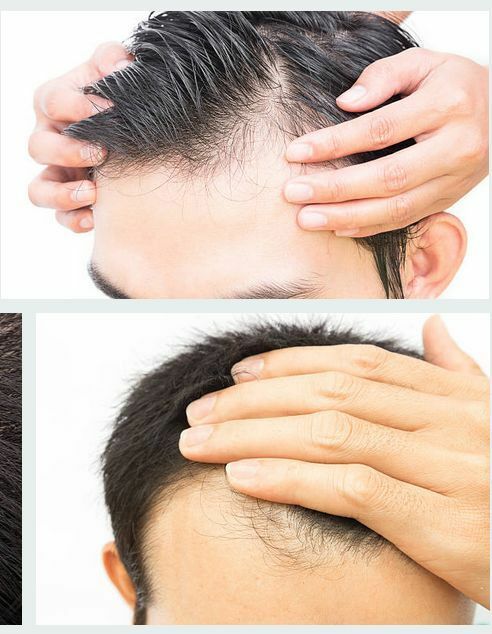 I recommend Propecia to any young male who is experiencing hair loss in the hopes of stopping future hair loss, since the less you lose the less we have to transplant or replace in the future. I am also an advocate of Low Level Laser Therapy for trying to slow or stop hair loss. Both of these treatments do not regrow hair as only hair transplant can permanently regrow hair. As of this time, there are no new surgical treatments or new medications in the pipeline of the FDA. An individual needs to determine if they want to wait for the possibilities of some hair loss breakthrough, or take advantage of the latest state-of-the-art surgical treatments. Today, hair transplantation techniques produce undetectable, natural results. Will there be improvements in the future? I truly hope there will be surgical advancements someday, but I question how much improvement can improve naturalness and undetectability.